Yummmm lavender is one of my favourite scents. It is relaxing, refreshing and so feminine! 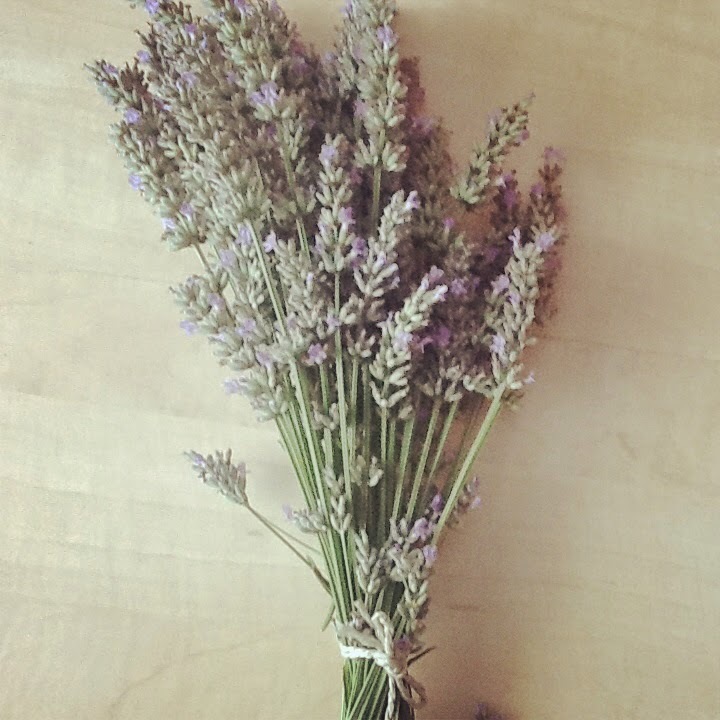 This summer (mid June) Ruby and I picked bundles of lavender while in Vienna. She helped me cut each stem (the longer the better) we then bunched them together, tied them up with gardening twine and hung them upside down to dry in a dark cool room. When we arrived in Toronto we removed the buds off the stems (they literally fall off when they are dry enough-2 weeks +). FYI, when I transported them to Canada, I wrapped them in newspaper and sealed them up in a brown paper bag. 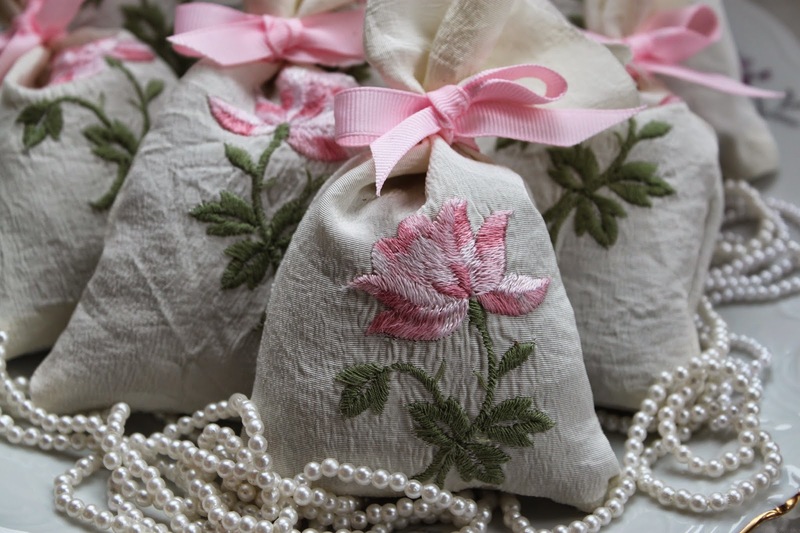 If you are in UAE and do not have access to fresh lavender, you can easily head to the spice souk and snap up a fresh bag for pennies. I found an old elegant table cloth from my late Babcia. I cut some of it up into long rectangular shapes. I like to do things quick and efficiently. I used a book to trace around the fabric to get the right shape:) A box of macaroni or a book will do the trick! Once cut, I lined up the right sides together (you want them “inside out”). I sewed them up leaving the top part open. My mom also gave me a hand with sewing some of them which was fun! I miss doing crafts with her. One of the crummy things about being an expat and away from your folks…Don’t forget to back stitch and leave a nice 1/4″ seam. 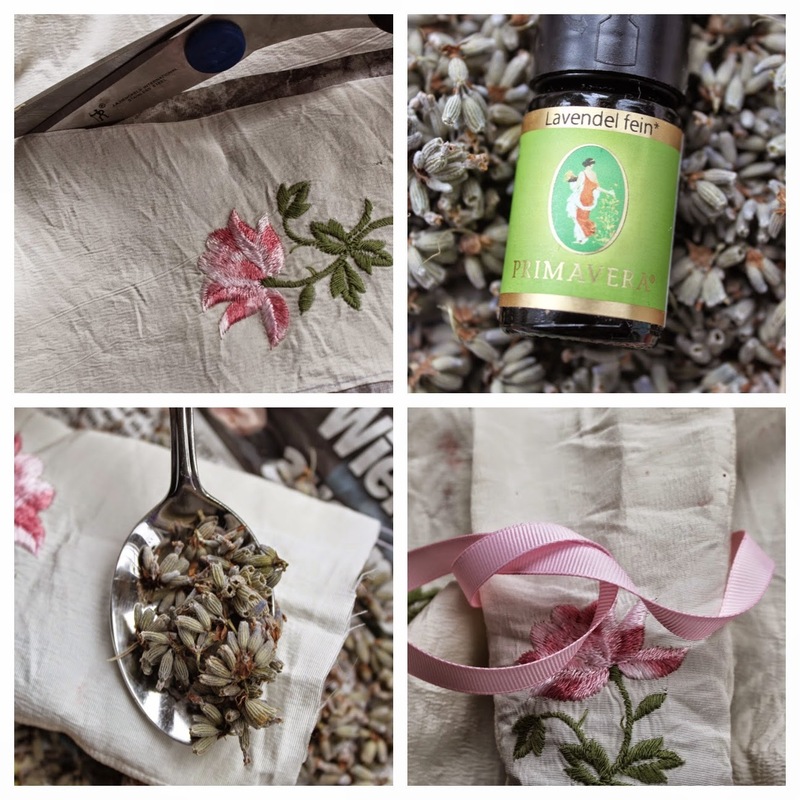 Once all the pouches were sewn up, I shook a large amount of natural lavender essential oil onto my dried buds (which were spread out on newspaper to avoid mess). Give it a good mix, and adjust scent to your liking. Grab a spoon and start filling your pouches. You don’t want them too overfilled, or under filled. Tie them up with a pretty ribbon, or twine. I did some with bows, and others with just knots. Another easy way to create the sachets is by cutting small rectangle or square shapes with pinking shears (you can buy them at IKEA). 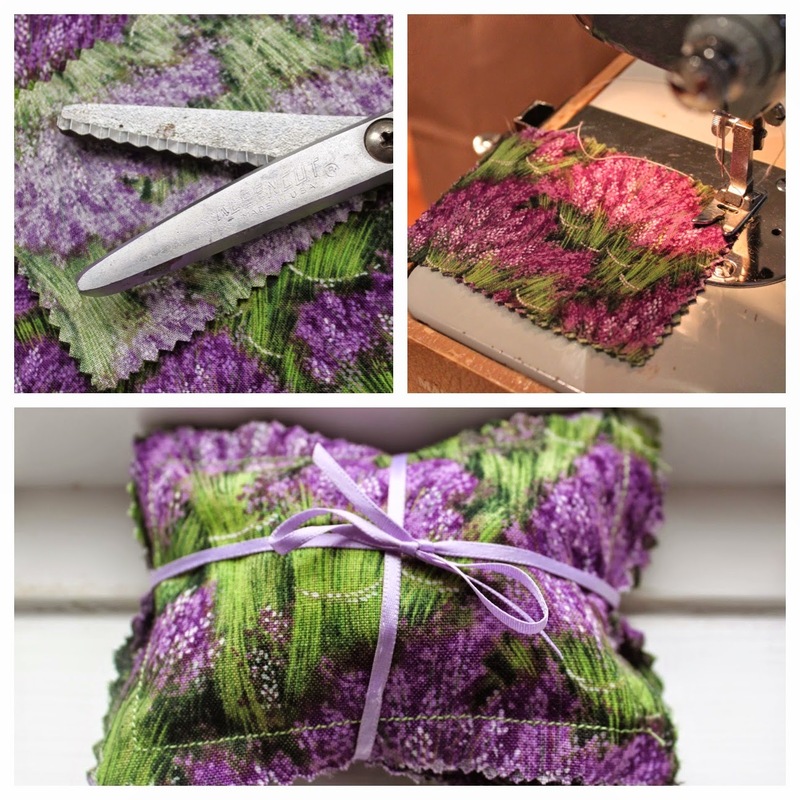 Place them right sides up and sew around the entire rectangle leaving the top part open to fill with the dried lavender. Once you are finished filling, sew up the small opening. Ruby really enjoyed helping me fill them. 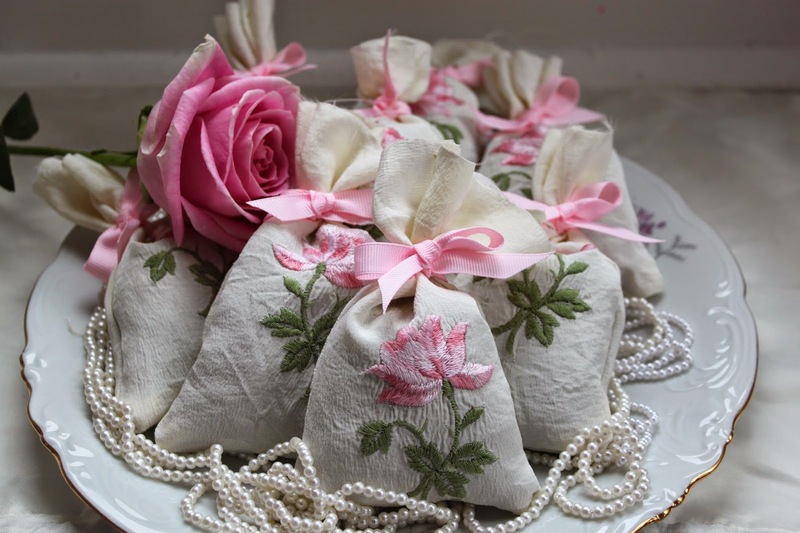 She made a special sachet for herself. She wants to put it under her pillow when we get back home to UAE. 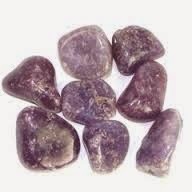 It has lepidolite stones which is a good gemstone to aid with sleep. For the white fabric style I did, put the fabric right sides together before sewing. You will flip them once sewn. If doing the purple style then sew them right sides u.